How are you better than ever? That's a great question, especially for us moms to ask ourselves at least now and then. We are more than cooks, drivers, personal assistants, child raisers, among other things. How am I personally better than ever? That was the question posed to us for this project on TwitterMoms.com where you too can participate. I'd say, as a mom of four kids born in a year that are all teens now, I think I have finally achieved that goal. Because I am mom who values my family -- hubbie and kids -- more now than ever before. In fact, enhancing family living, is the foundation of MommyBlogExpert. How about you? 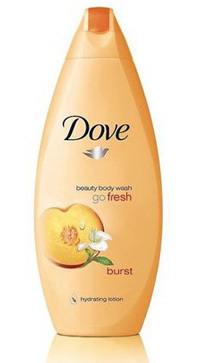 In addition to entering Dove's Gofresh contest on Facebook feel free to leave a comment below this post to share how you are better than ever, too. FTC Disclosure: I wrote this blog post while participating in TwitterMoms and Dove® gofresh™ blogging program, making me eligible to get a $25 gift card and some product. For more information on how you can participate, click HERE. See complete FTC Disclosure information that appears at the bottom of MommyBlogExpert's main page and at the bottom of every individual post on this blog, including this one. Your TwitterMom post is much better than mine. I love your 'to the point' style. I am better now because I live in the now, know happiness is a choice and live a much better balanced life. All three of these things have improved my relationship with my daughter & it has made being a single mom of a teen a lot easier. I feel like I am finally living now. I have less money & less work hours but an increased quality of life! Yay. Love your comment! Thanks for responding to this post.